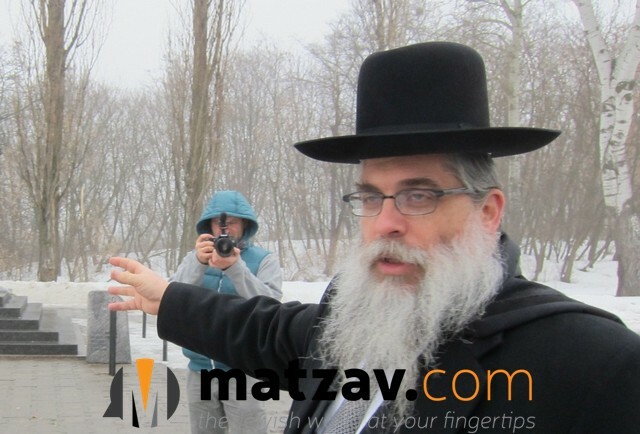 Ukrainian chief rabbi Rav Yaakov Dov Bleich wants a Dutch Christian group to stop pressuring Jewish people in the Ukraine to move to Israel, he told the Trouw newspaper following a documentary on the group, NLTIMES.NL reports. The group in question is Christenen voor Israel (CVI), or Christians for Israel in English. They believe that all Jews must leave Europe, “because J- will return once all Jews are in Israel,” NLTIMES.NL reports. Last year some 7 thousand Jews left the Ukraine, many of them through this group according to the newspaper. The documentary shows a CVI worker Koen Carlier visiting farms in the Ukrainian country side. The Jews are told that the antisemitism in the Ukraine is very bad and will only get worse. At one point he is talking to an old lady. “You have to go to Israel”, he says. Rabbi Bleich disapproves heavily of this scene. “Putting a woman of that age under pressure like that? That is madness.” he said to Trouw. 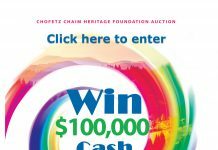 Rabbi Leich thinks the CVI should adapt its working methods. 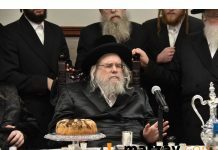 “If you want to do something good for the Jews and tell them: ‘Go away from here, because your life is in danger’, then go to help the Jews in Yemen.” He sees no problem with the CVI collecting money to buy plane tickets, as long as they do not pressure anyone. “If you do it in an appropriate way, it’s a great thing. After all, Israel is the best place to live for a Jew.” Read more at NLTIMES.NL. Next articleNo Joke. April Fools’ Day Has Been Banned In China.